Chris Addison is a critically acclaimed stand-up comedian renowned for his versatility, his pacy, energetic routines and faultless delivery. Both his 2004 and 2005 solo Edinburgh shows sold out, and were nominated for the prestigious Perrier Award. Addison is also a renowned actor, most notably for his role as Oliver Reeder in ‘The Thick of It‘ and as Toby Wright in the subsequent feature ‘In The Loop‘. In recent years, he has proved himself as a director, working on HBO’s Emmy-award winning Veep, winning an Emmy for his role as Co-Exec Producer on the fourth series. As an actor, his television appearances include Doctor Who, Trying Again, Skins and the multi-award winning ‘The Thick of It’. In 2013, Chris starred in the movie The Look of Love, alongside Steve Coogan and Anna Friel. Chris’ radio experience is also extensive, hosting 7 Day Sunday until 2011 on Radio 5 Live. He also appears regularly on shows such as Quote Unquote, The Unbelievable Truth, Just a Minute and Armando Ianucci’s Charm Offensive. 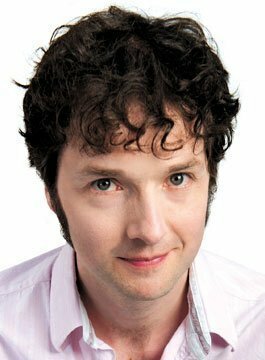 Chris Addison is popular at corporate events as a stand-up comedian or awards host.